Turn now to a popular method of moist heat cooking: poaching. You’ll see how deep poaching works to gently cook a piece of salmon (accompanied by a simple sauce). 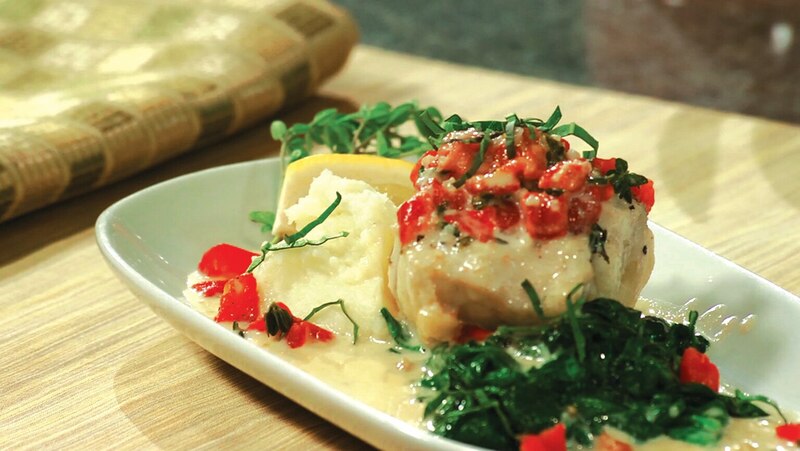 Then, you’ll compare that cooking method with shallow poaching a piece of monkfish and using the leftover liquid as the basis for an accompanying sauce. Finally, you’ll learn how to boil and steam vegetables such as green beans and broccoli.